Jethro Shearring of Dove House (Centre), with staff from Rollits. 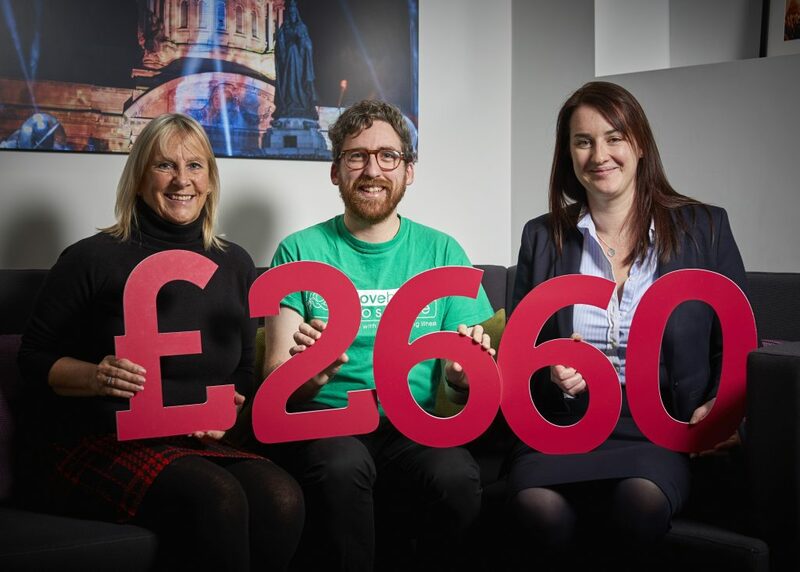 In what marks their 25th year of support for local charity Dove House Hospice, Rollits Solicitors celebrated another year of fundraising success, with £2660 raised from charitable activities in 2018. Funds were raised through Rollits’ annual golf day, as organised by Director of Marketing and Client Relations Pat Coyle, alongside the firm’s participation in the hospice’s annual Make a Will Fortnight. During this time, solicitor Emma Fawke accepted a number of appointments, free of charge, in return for a donation made to Dove House Hospice. Jethro Shearring, Fundraising Coordinator at Dove House, added: “At Dove House Hospice all the care that we provide is free of charge, though it is not free to give. It is only through the generosity of the community and organisations such as Rollits that we are able to support our patients and those around them. Be the first to comment on "Rollits celebrate charitable milestone with Dove House Hospice"